The Soberlink Breathalyzer has received clearance from the US Food and Drug Administration for medical use. The webcam- and GPS-enabled device allows rehab centers to remotely measure alcohol in a client’s breath, ensuring compliance with treatment. 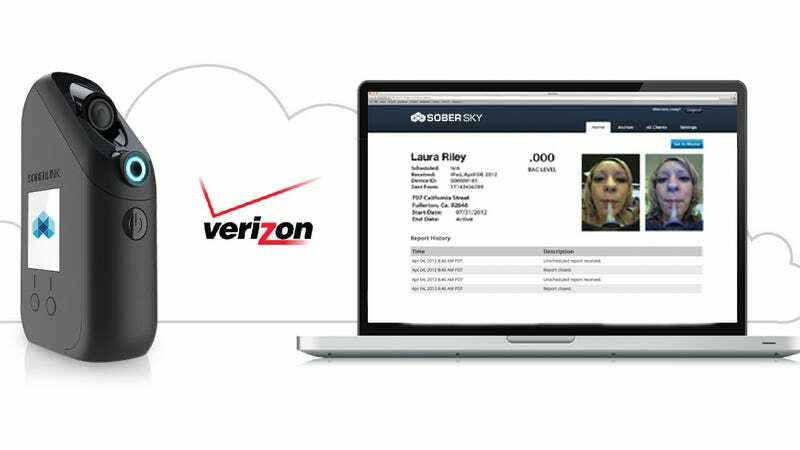 Unlike other compliance-related breathalyzers on the market, Soberlink doesn’t require a third-party individual to administer the test to prevent falsification. To ensure compliance, the device takes a picture of the person blowing into the breathalyzer—along with their GPS location—and then transmits that data to a healthcare provider or rehab center. Soberlink also features a facial recognition system for immediate and automatic identification of the user. The device connects to a mobile phone, and through a partnership with Verizon Wireless, allows individuals to take the test from nearly anywhere in the world and at nearly any time. As noted in Medgadget, the device has so far been used to enforce probation sentences and for family courts, but the FDA has now given its authorization for medical applications. This new device makes it more difficult to cheat on rehab, and that’s a good thing. At the same time, the device helps people who are on the road to recovery by allowing for greater autonomy and flexibility.